How long has your campground been in operation? This locally treasured campground proudly came under new ownership on January 1, 2018. Purchased by a local family from Dixie County, our primary goal is to lovingly renovate and update this pristine property to its full potential. We are currently in the process of updating the infrastructure and amenities. This takes time but much progress has been made already! Come check out our progress and discover why everyone is saying that life is good at Suwannee River Bend RV Park! What are the lot dimensions? We have 24 waterfront lots that are 30′ wide and 125′ deep. The remaining 26 water front lots vary and measure between 28′ wide and 45′ deep up to 45′ wide and 60′ deep. We also have several interior lots that are 30′ wide and 130′ deep. 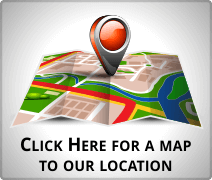 We are currently working on a site map to be put on website. Until then, please call the office if you are interested in lot dimensions for a specific lot number. Do you offer full hook up? 30/50 amps? Yes, most of our sites are full hook and 30/50 amps. We are in the process of upgrading all of our sites to FHU with 30/50 amp capabilities. Do you have buddy sites available? Yes, we do have a few sets of buddy sites available to accommodate group camping. Yes! Here at Suwannee River Bend RV Park, we are thankful for and value the sacrifice and heroism of all branches of the military. With a valid military ID, we honor our veterans with a 10% discount on all overnight and weekly rentals. How far is it from the boat ramp to the canal at SRBRV Park? The boat ramp is approx. 1/4 mile from the canal at SRBRV Park. How deep is the canal that leads to the Suwannee River? The canal at SPBRV Park that leads directly to the Suwannee River varies in depth from 3-6 feet. Do you have floating boat docks on site available for use? Yes, we do have floating boat docks on site that you can use. We are currently in the process of updating the dockage system to provide even more docks for your usage. Do you offer boat/canoe/kayak/bike rentals? We are looking into offering these services in the near future, but we do not offer them at this time. If you are interested in any of these services, let us know and we will collaborate with a local rental company to try to accommodate all of your rental needs. Not interested in rentals but would like to view the Suwannee River by boat? We have a trustworthy camper/boater/fisherman who delights in showing our guests all of the spectacular sights on the Suwannee. And he even knows the good fishing spots! We do ask that you bless him with a donation for his time and service! What amenities are available at the park? We now have high-speed, fiber optic Wifi!!! This upgraded service is free to you during your stay at SRBRV Park. We have a bath house, 24-hour laundry, and a clubhouse that has a full kitchen, books, puzzles, and games for your enjoyment. We recently upgraded the clubhouse with a big screen TV with cable, and the sport’s package for you sports enthusiasts! Also, we have constructed a new playground area for our little visitors’ enjoyment! Upon request, we have some fire rings, picnic tables, and grills available for use during your stay. We are currently in the process of renovating and updating the amenities and infrastructure of the entire campground to make your stay more enjoyable. Yes, we sell firewood and lighter wood. Please see the office manager if you would like to make a purchase. All reservations require payment in full at time of the reservation. Cancellations must be made 7 days prior to reservation date to receive a full refund minus (1) night’s rent. If cancellation is made 2-6 days prior to reservation, camping credits will be issued minus (1) night’s rent. Any cancellations made within 24 hours of reservation will forfeit any refunds or credits. Camping credits must be used within one year of the original reservation date. Credits cannot be used on holidays. No refunds will be issued for inclement weather. Management reserves the right to modify this policy as needed.